Subaru has been well known throughout the world for its boxcar design and boxer engines. 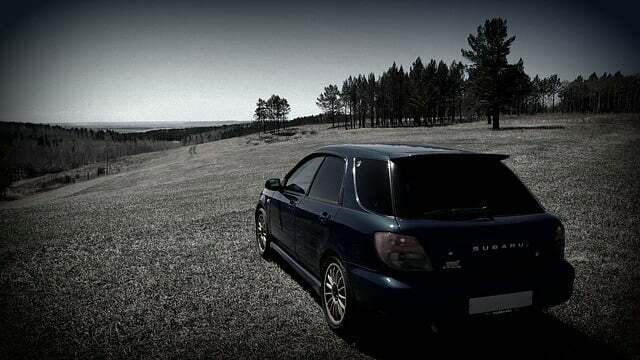 While there is not many Subaru drivers in the Valley of the Sun, those that own a Subaru do so with pride. To that end, we at Phoenix Title Loans have Subaru Title Loans for the devoted owners. What is Subaru to the Valley? Subaru comes from humble beginnings in Japan under the name of Fuji Heavy Industries (aka the Aircraft Research Laboratory). Then in the 1950s the first Subaru vehicle, the Subaru 1500, was manufactured, albeit few were made. Much like many of the other industrial manufacturers in Japan during the 1950s to 70s, there were several partnerships/mergers with other manufacturers; such as Nissan, General Motors, and currently Toyota. It also had several unique marketing strategies to help solidify its niche in the automobile industry. This helped made its future possible through the devoted support of Subaru customers. What little fun fact about Subarus: where are they the most popular? It’s actually in Colorado! If you’ve ever been to Colorado you can attest to this, it’s literally Subaru heaven over there! Subaru is one of the few companies that has maintained the four-wheel drive aspect of their vehicles in every production car they’ve made, all the time. Why Colorado enthusiasts probably loved it at first was due to the snow they have over there. Trying to drive a two-wheel drive vehicle through snow is absolute hell, and getting stuck is even worse. After that, it seems that it’s simply become some kind cult following. It’s not even just the powerful Subaru WRXs anymore, it’s everything from the Foresters to their hatchback models as well. That aside, a Subaru title loan is a safe way to get fast cash within the span of an hour, sometimes shorter. Even if you’re not some kind of Subaru, Colorado enthusiast, we can get you a title loan today. We enjoy Subaru title loans as well due to their reliability, and high resale value. As with all of our title loans, we request to view the vehicle, title for that vehicle, and the driver’s license. IF you don’t see your Subaru vehicle listed and you’re looking to secure a Subaru Title Loan, don’t worry whatsoever! We offer Subaru title loans on literally every make and model that Subaru has to offer. We love to provide financial assistance in your time of need, or when other financial institutions simply aren’t providing you the support you so desperately need. This is why we choose not to be extremely selective about the types of loans we offer our customers. Subaru title loans are a quick efficient way to get yourself out of financial trouble in any situation whatsoever. Here at Phoenix Title Loans, your Subaru will always be as good as cash. Just as there are devoted Subaru drivers, Phoenix Title Loans devotes its business to Valley citizens with these services. It’s because of this we have remained in successful business for over ten years. This also enables us to have several locations throughout the Valley in cities such as Mesa, Tempe, Phoenix, Scottsdale, Casa Grande, Glendale, Chandler, Avondale, and more. This gives us the reach we need to further serve our Valley customers to getting them the best loan to value for the vehicles, like Subaru Title Loans. Visit us today; we can get the process started!